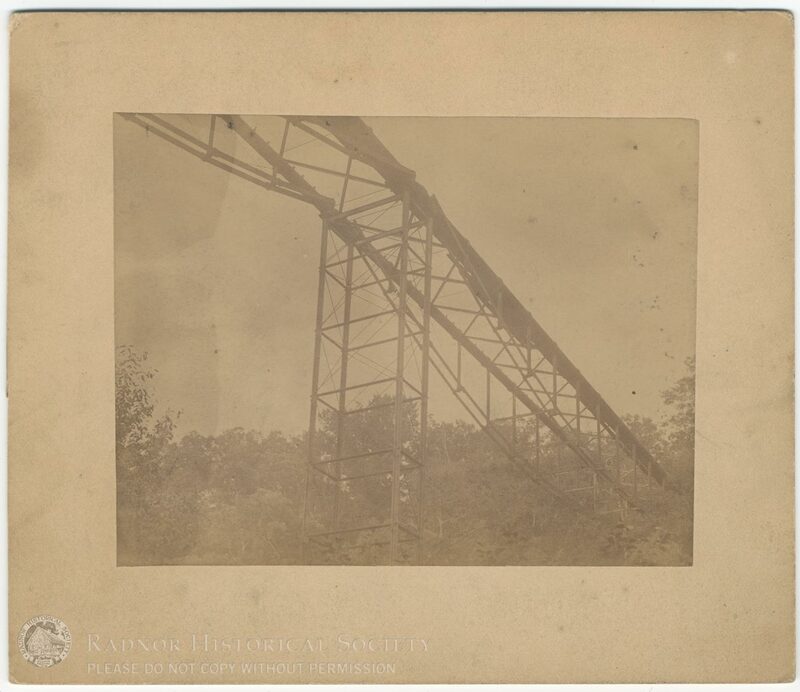 Handwritten on the back: "Pipe Bridge / Mt. Airy & / Roxboro (?) / Phila. / Blown down 1891 / Please return to / George W. Schultz / 60 S. 6th St., Reading, Pa."